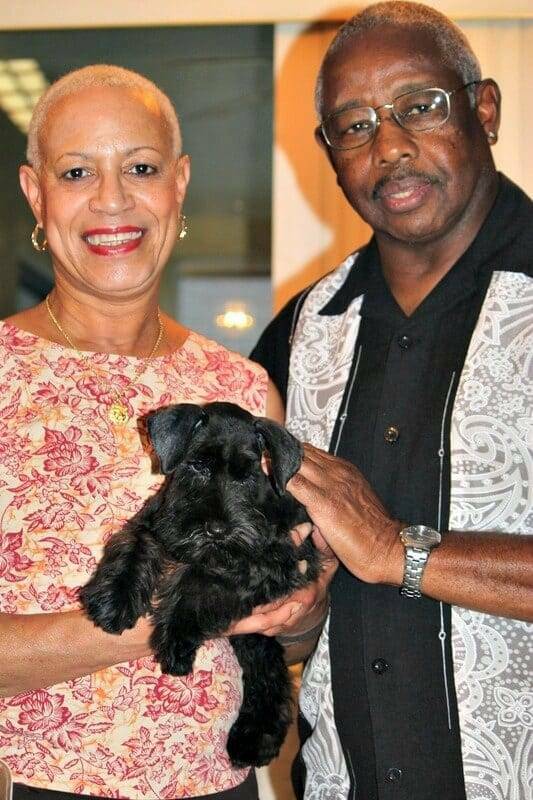 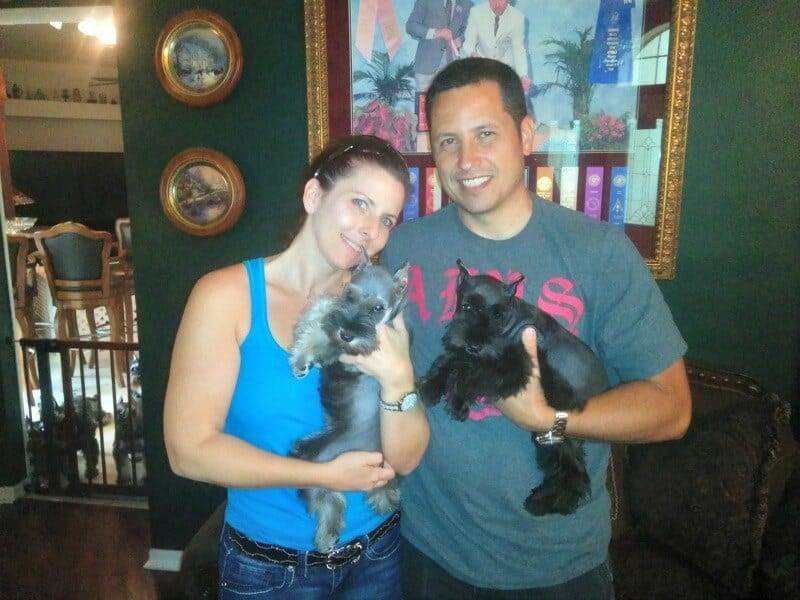 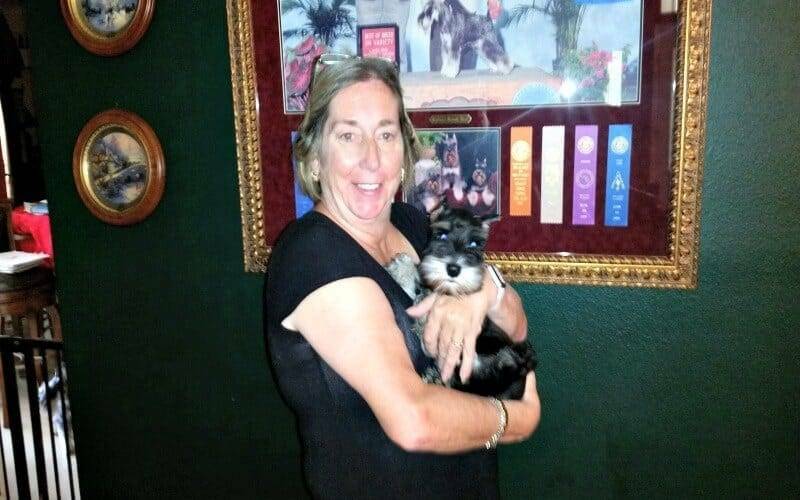 At Reberstein’s Miniature Schnauzers we are very proud of our past puppies that have gone to forever homes. 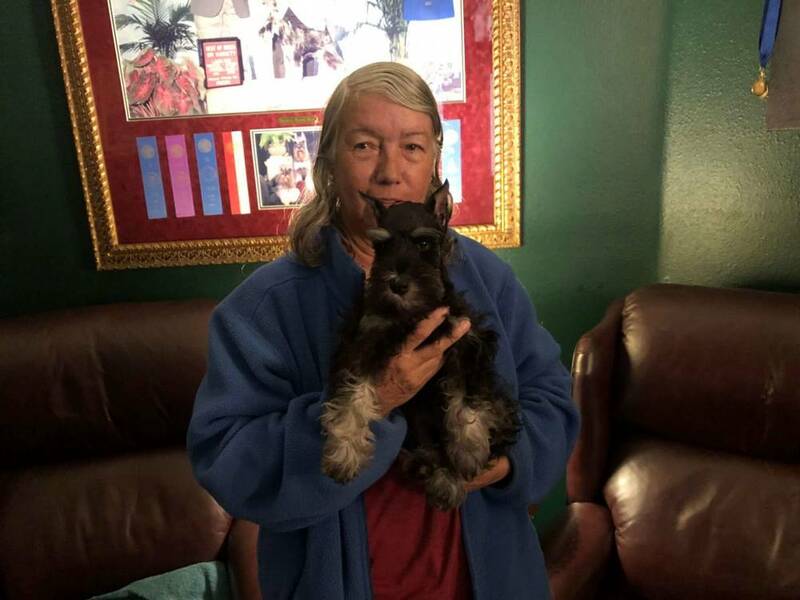 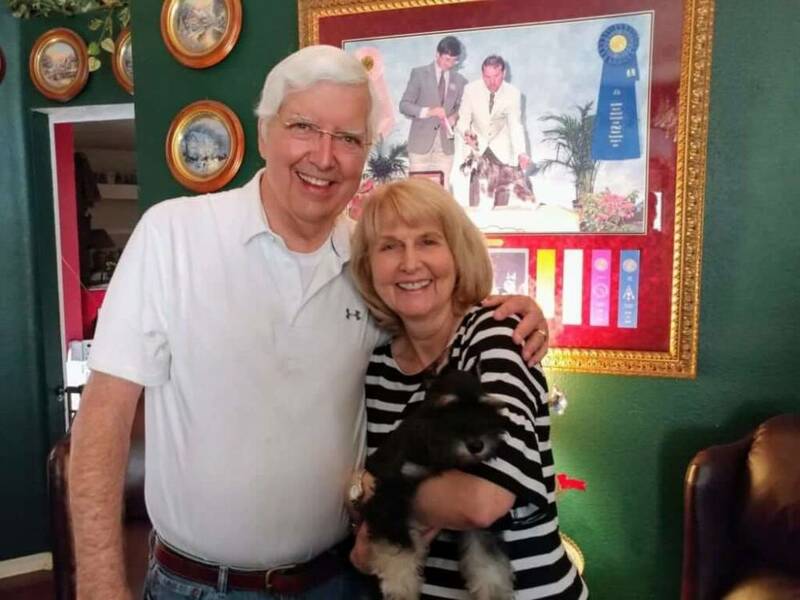 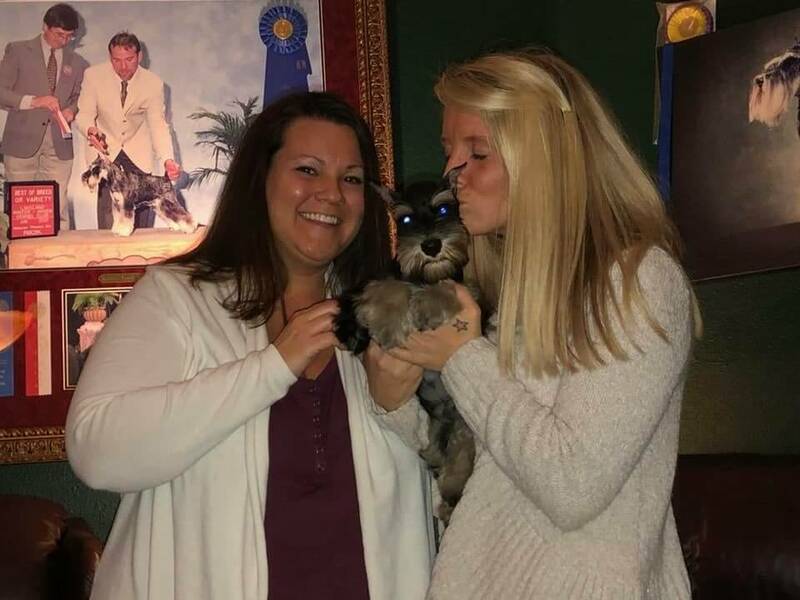 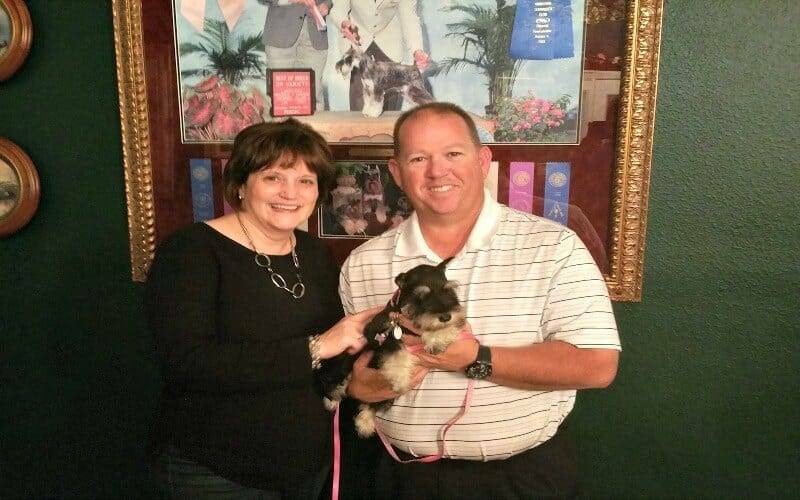 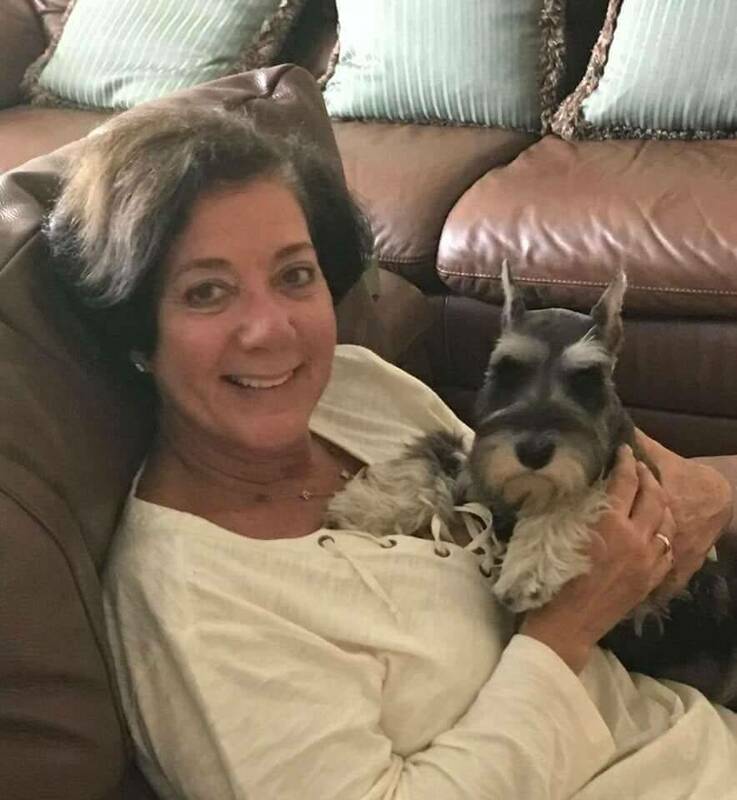 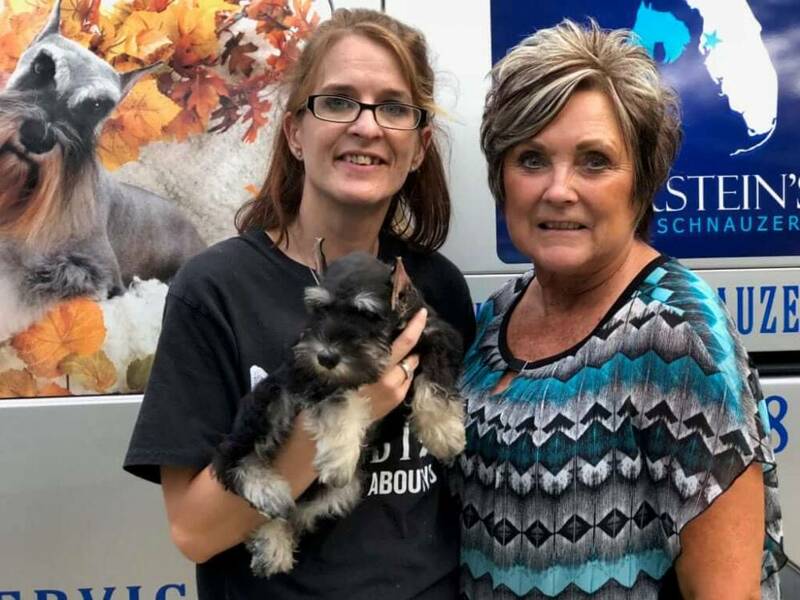 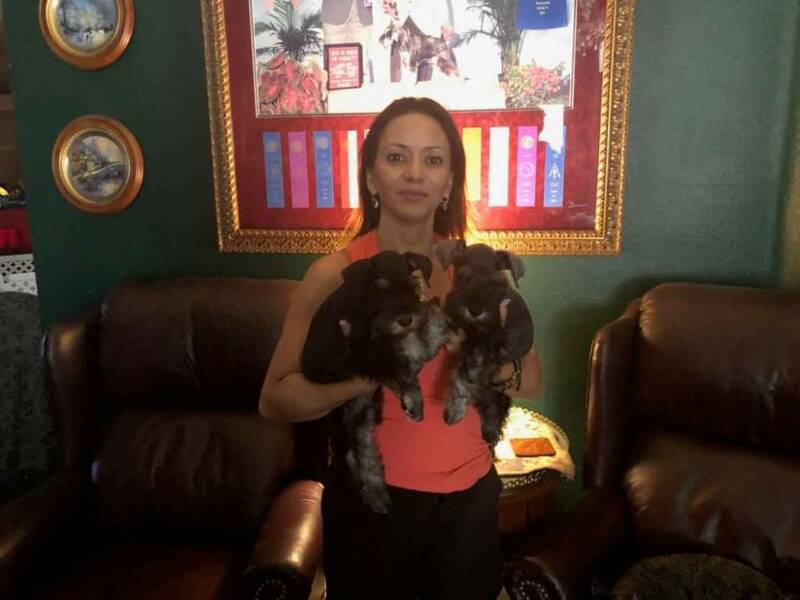 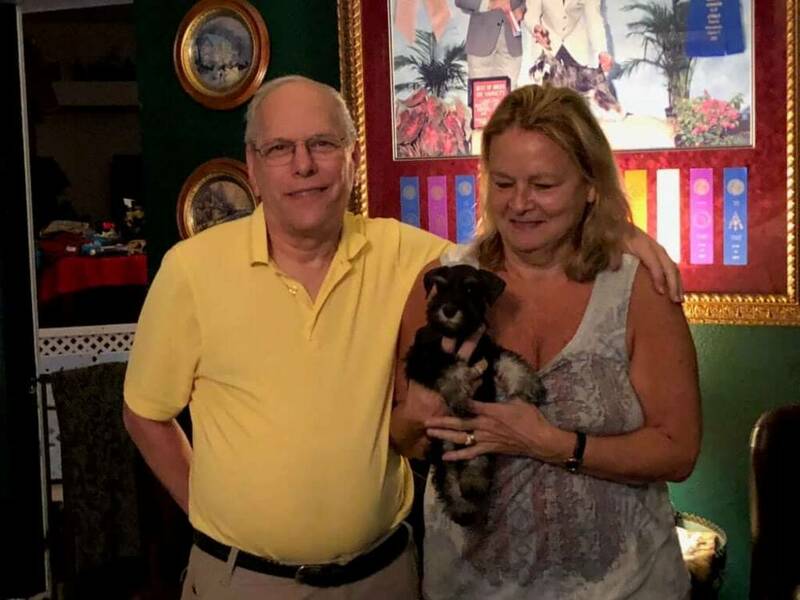 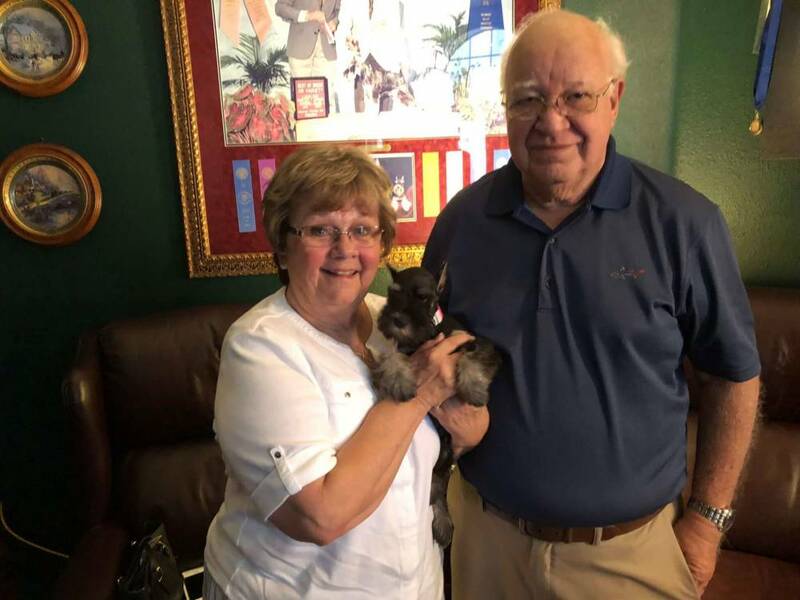 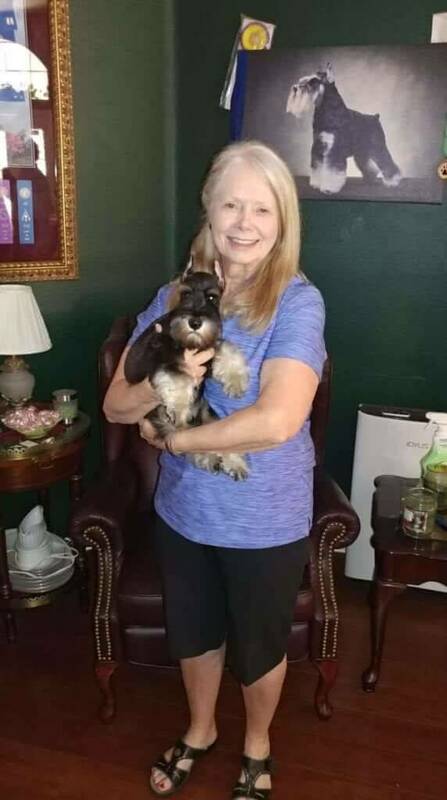 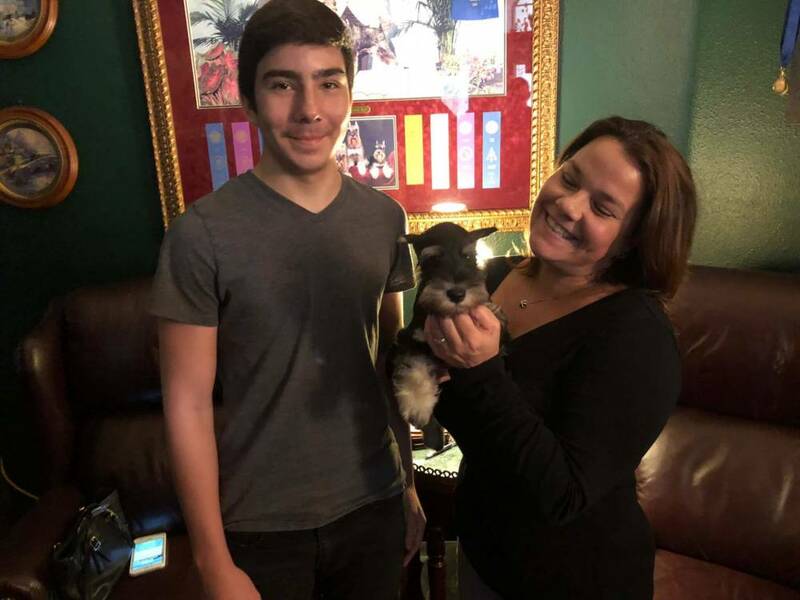 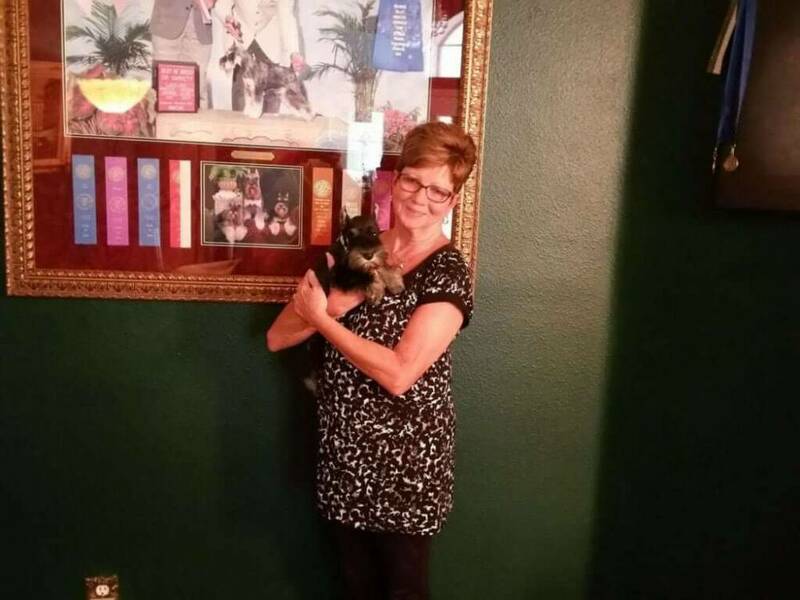 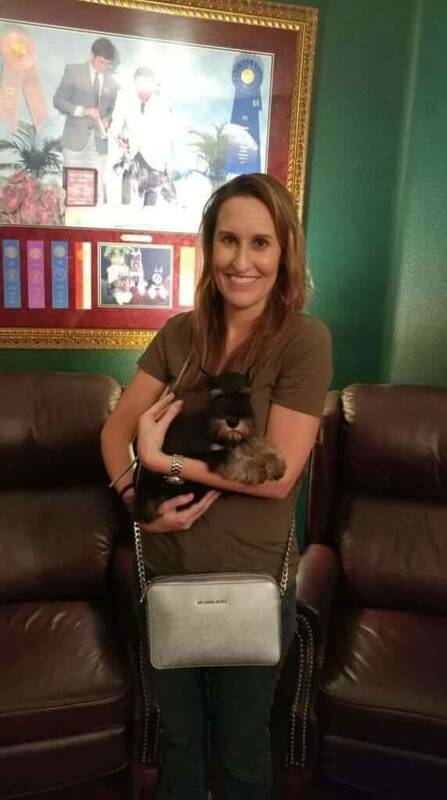 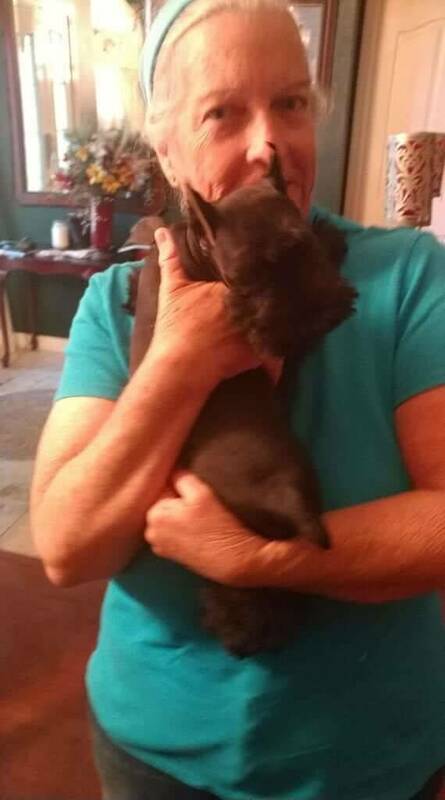 Our dedication and commitment to our Reberstein puppies does not stop after the sale but continues throughout the life of all the miniature schnauzer puppies we breed. 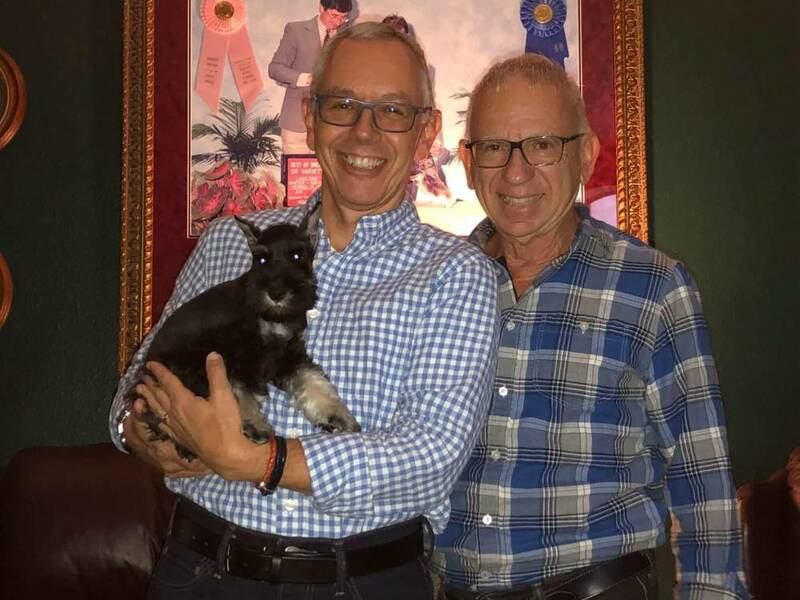 All Reberstein Miniature Schnauzer puppies have a lifetime health guarantee to be free from any hereditary or genetic disesases that may have been passed from the parents to the offspring. 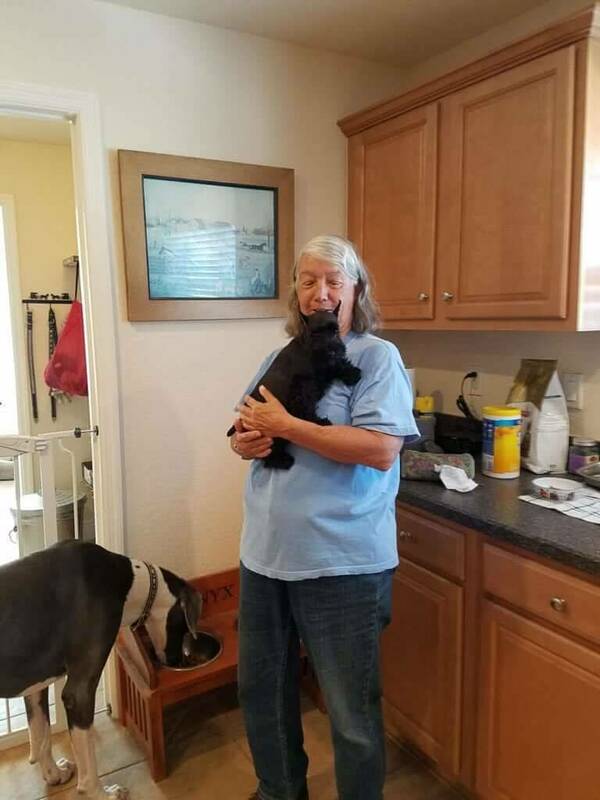 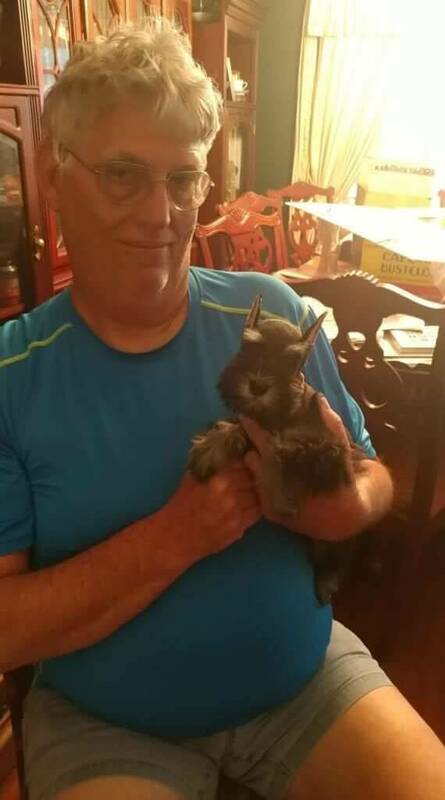 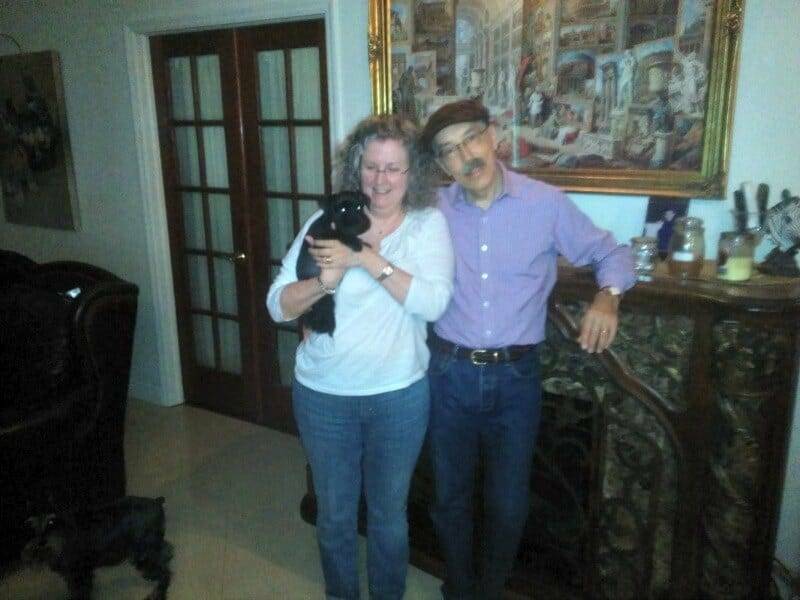 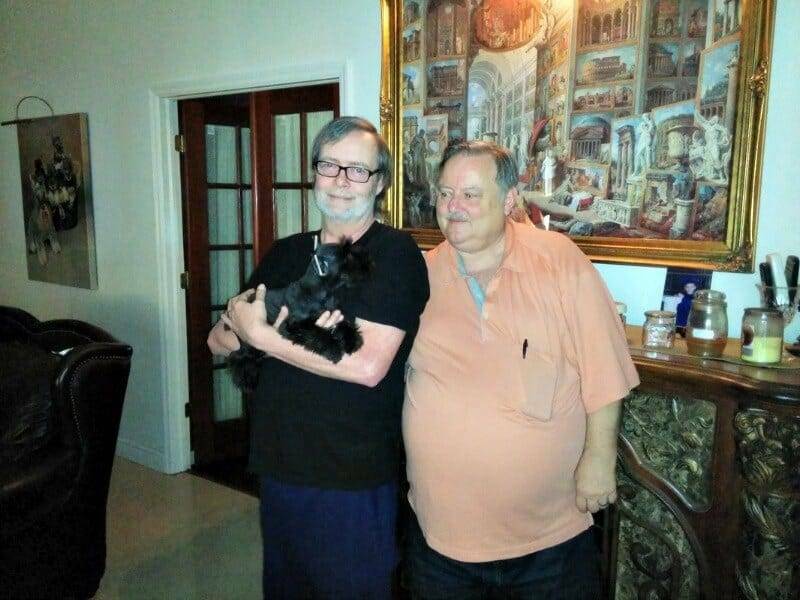 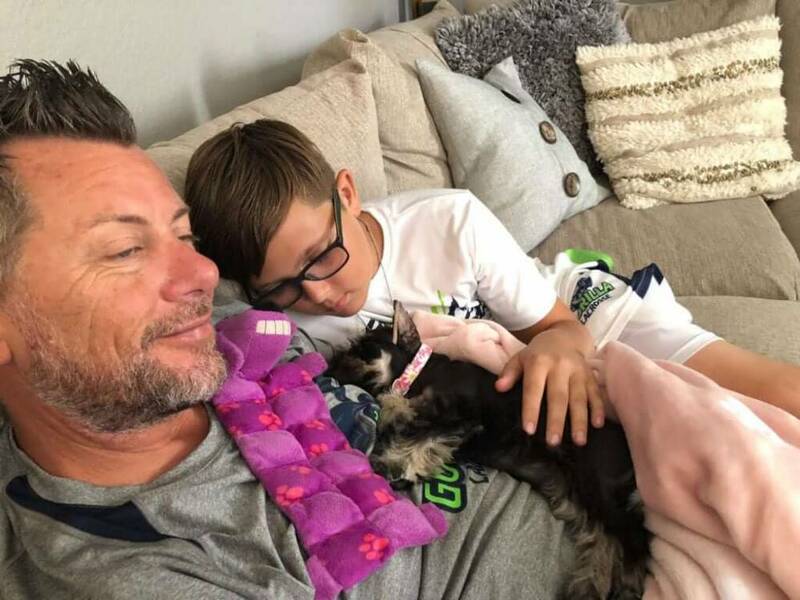 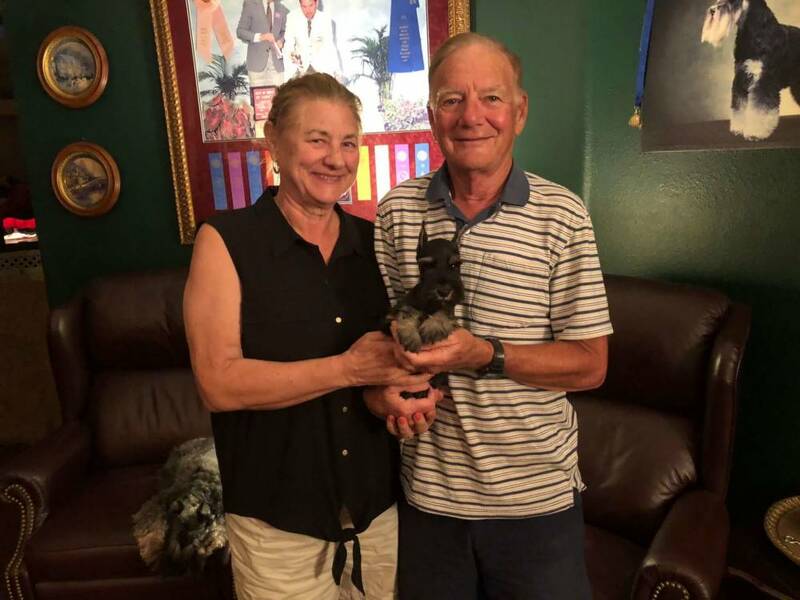 When you adopt a Reberstein Miniature Schnauzer puppy you can be rest assured that we want your puppy to be healthy and happy for life. 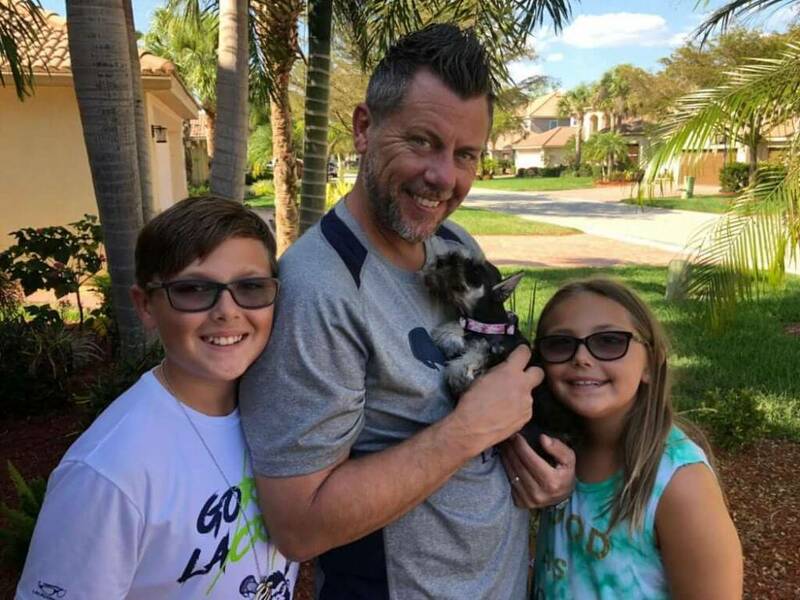 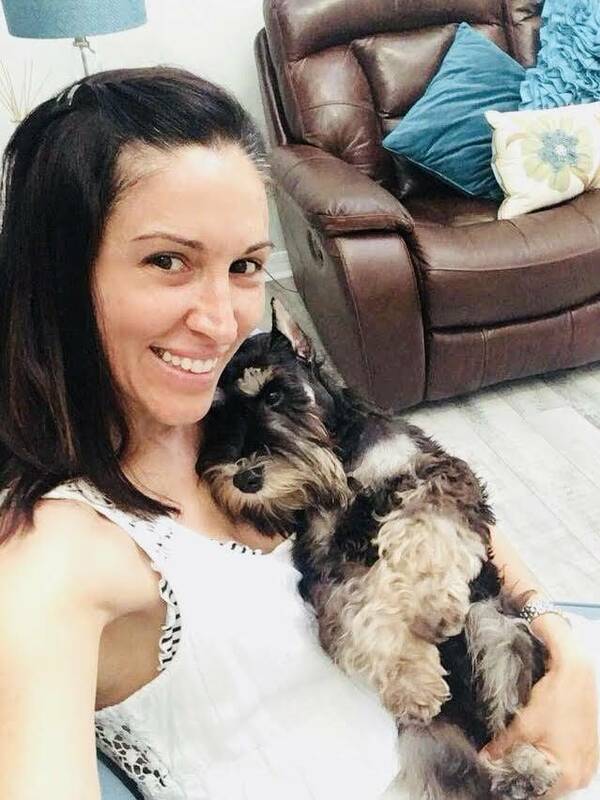 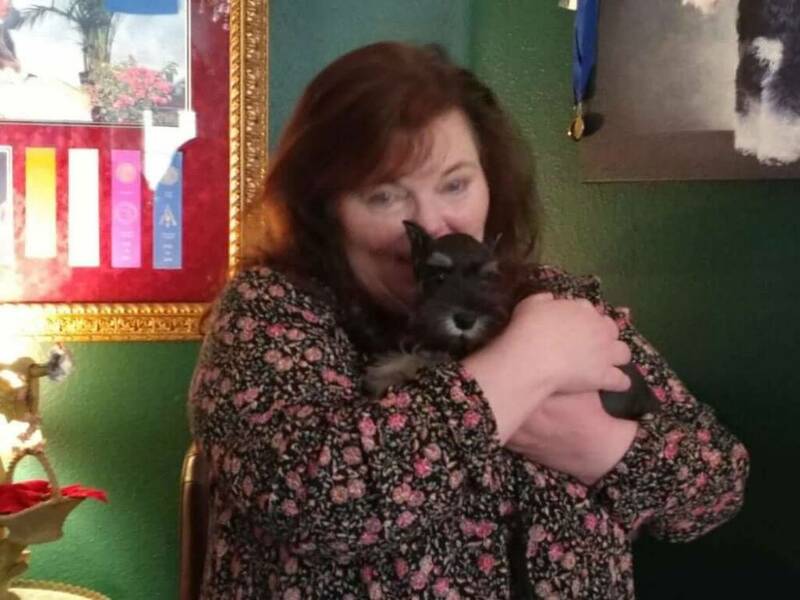 Reberstein’s is not a commercial breeder as all our litters are carefully planned to produce the finest Miniature Schnauzer Puppies in the world. 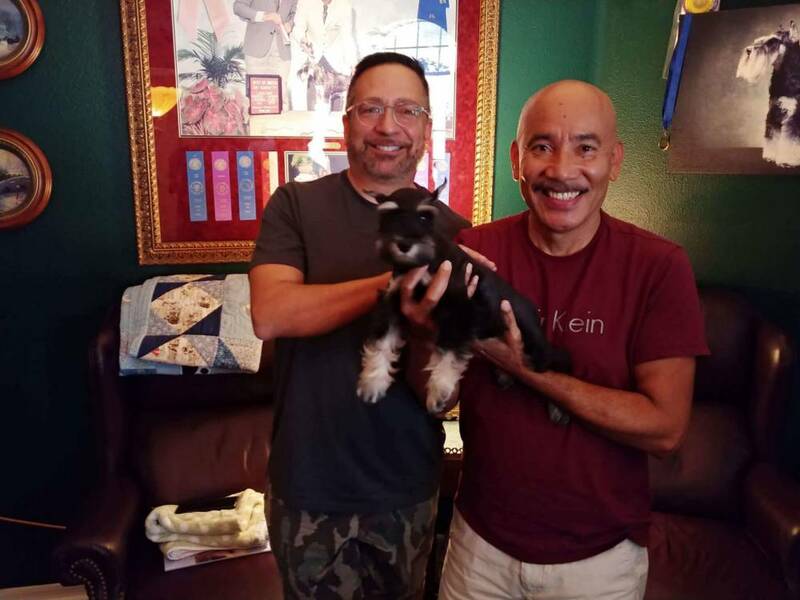 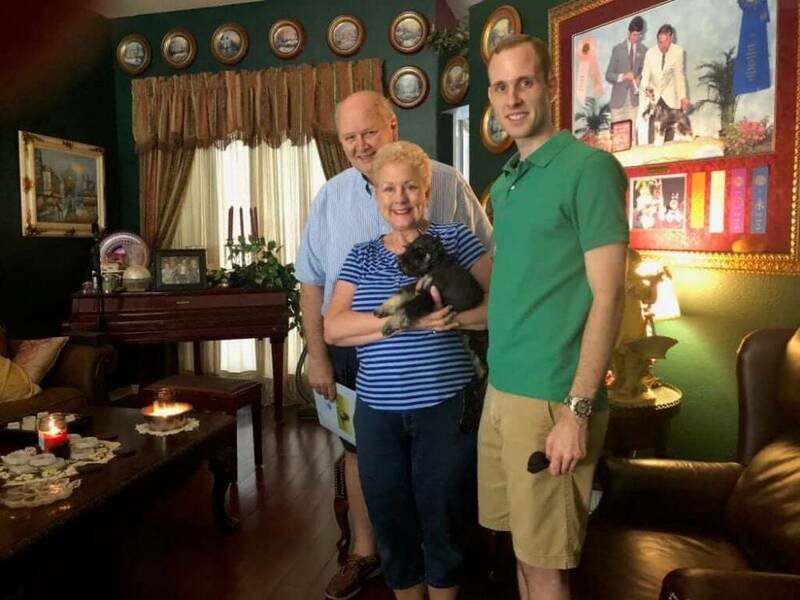 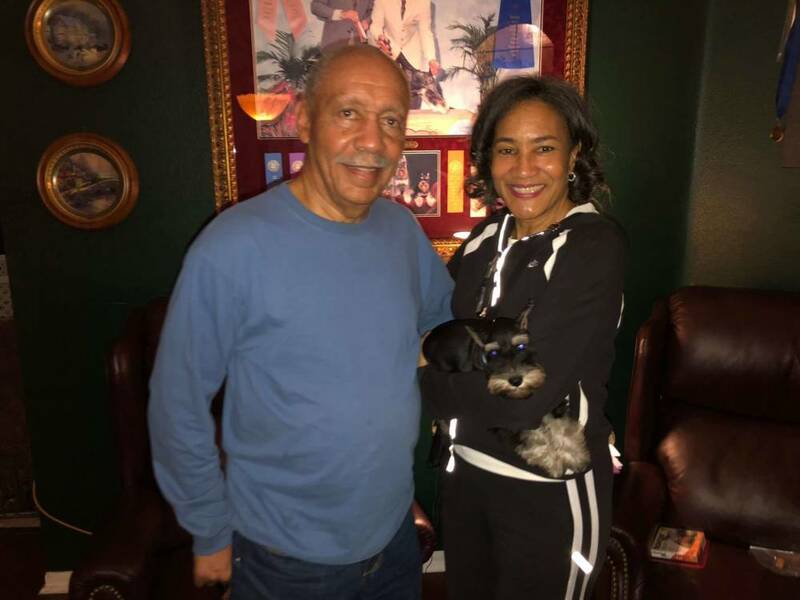 All of our past puppies carry the Reberstein name prefix with the American Kennel Club, as we are very proud of all of our past puppies that we have produced. 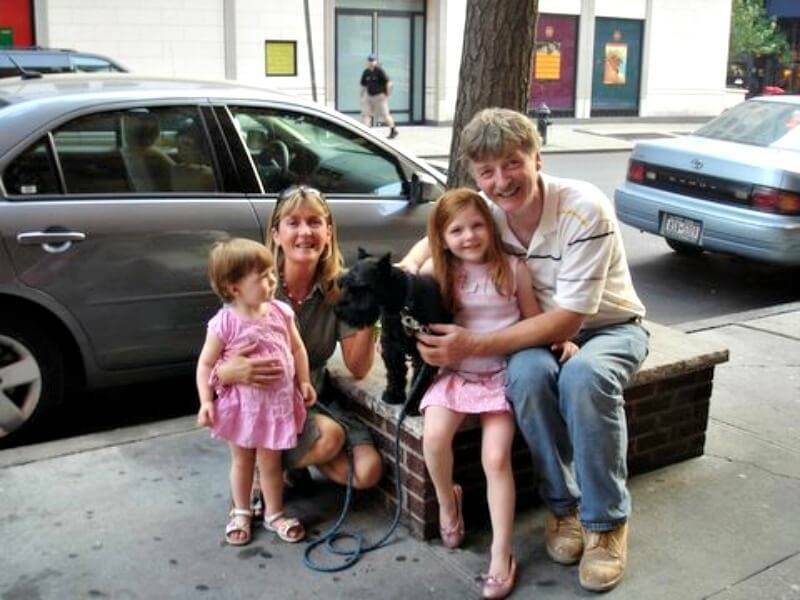 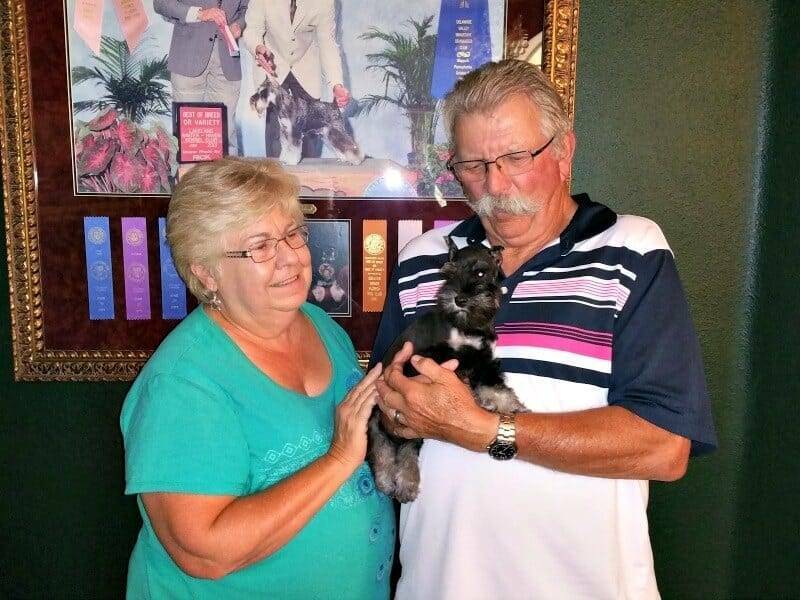 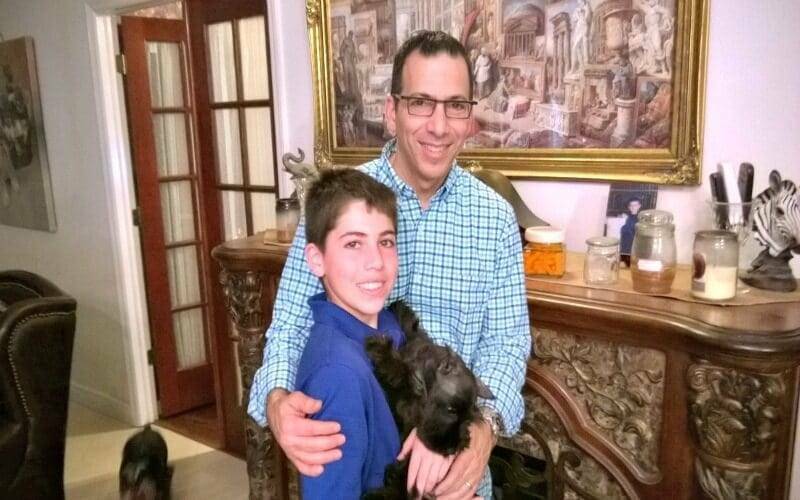 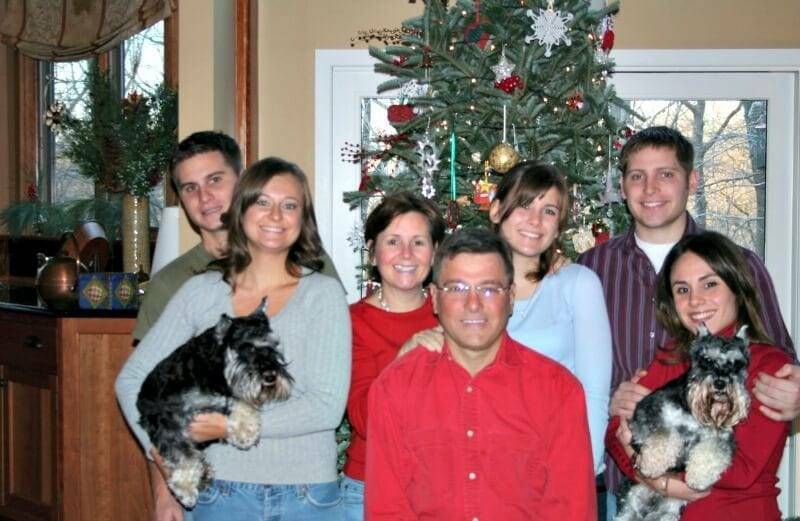 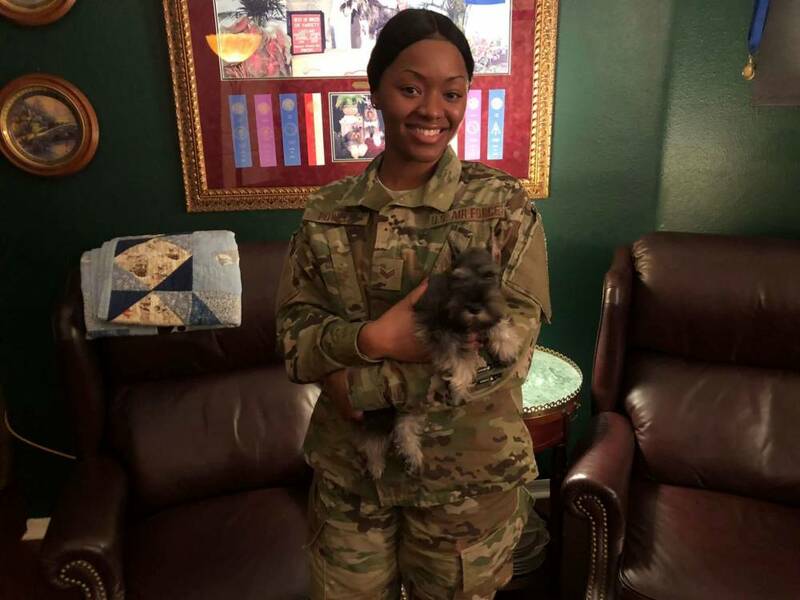 See why so many Miniature Schnauzer lovers in the United States and around the world, choose Reberstein’s Miniature Schnauzer puppies above all others. 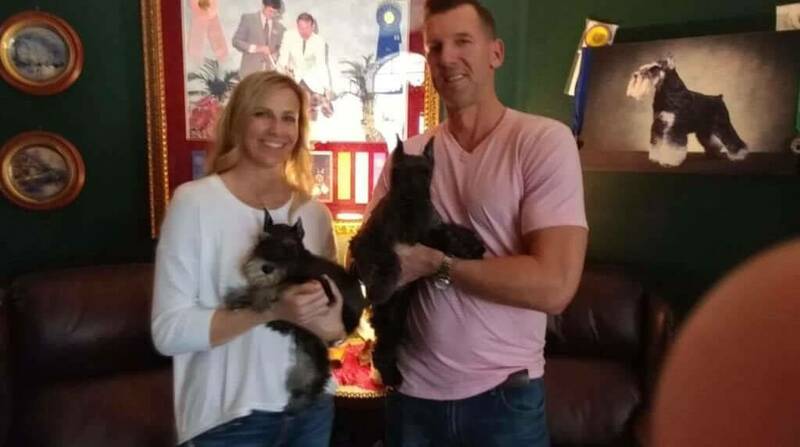 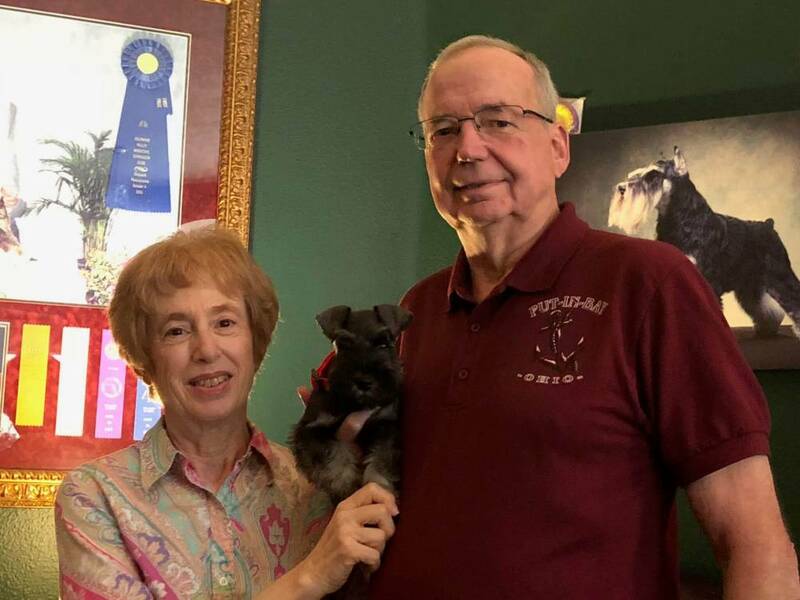 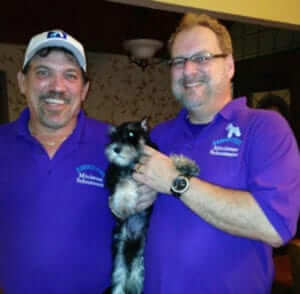 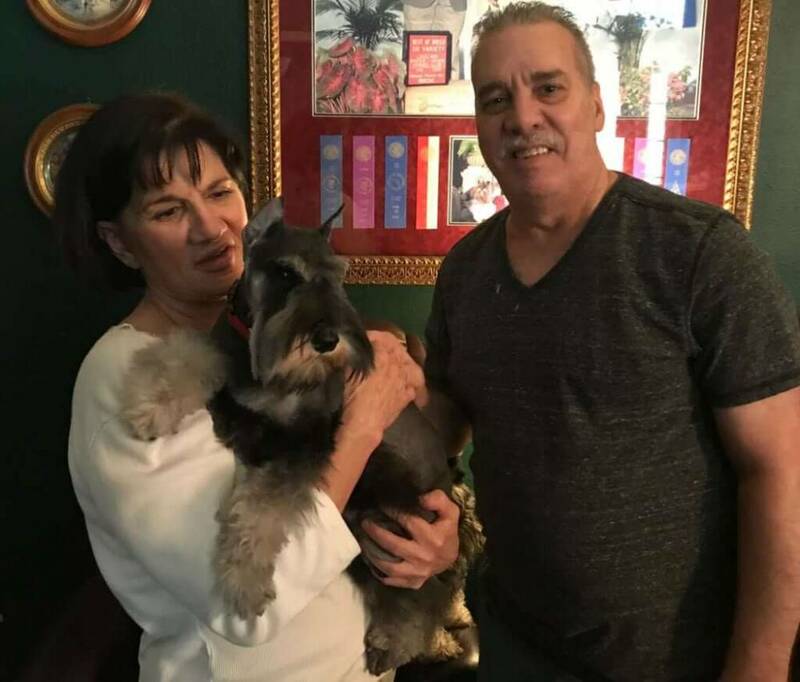 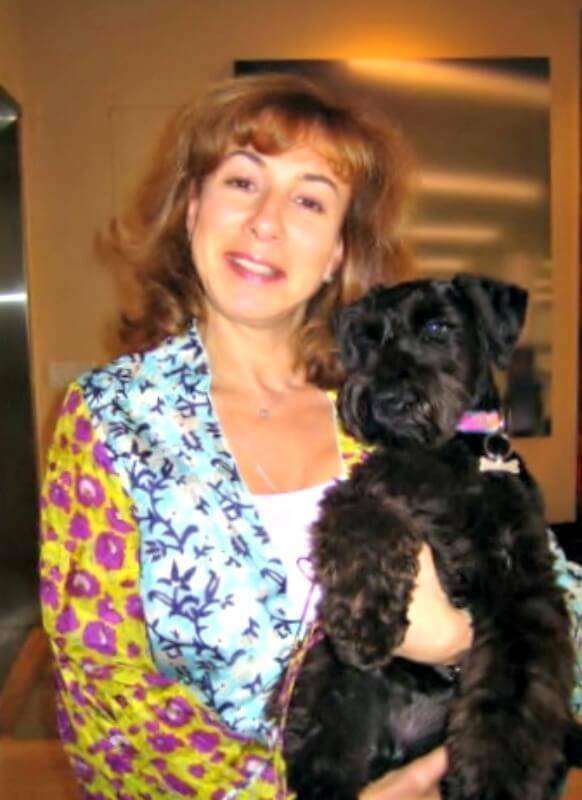 Reberstein’s Miniature Schnauzers is dedicated in preserving the Miniature Schnauzer breed standard as outlined by the American Kennel Club and the American Miniature Schnauzer Club. 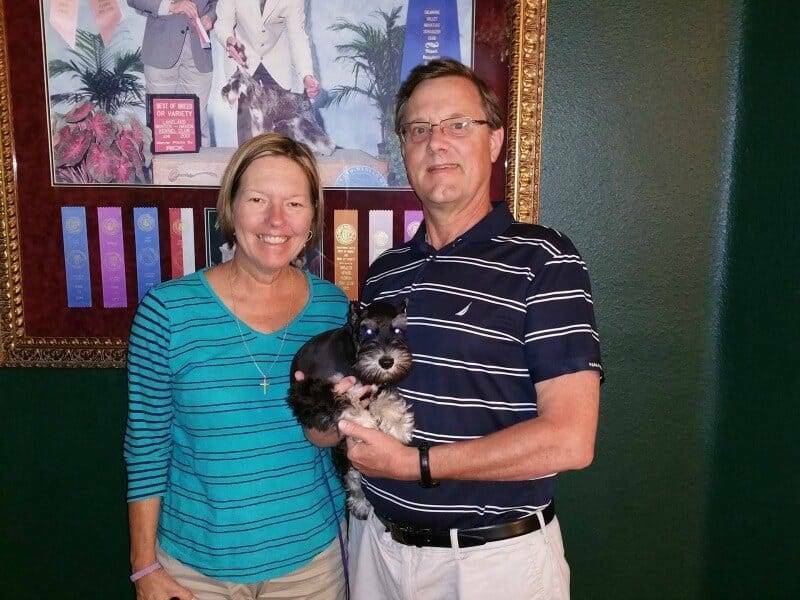 The Miniature Schnauzer breed standard is so vital in maintaining the quality and characteristics of a well-bred Miniature Schnauzer. 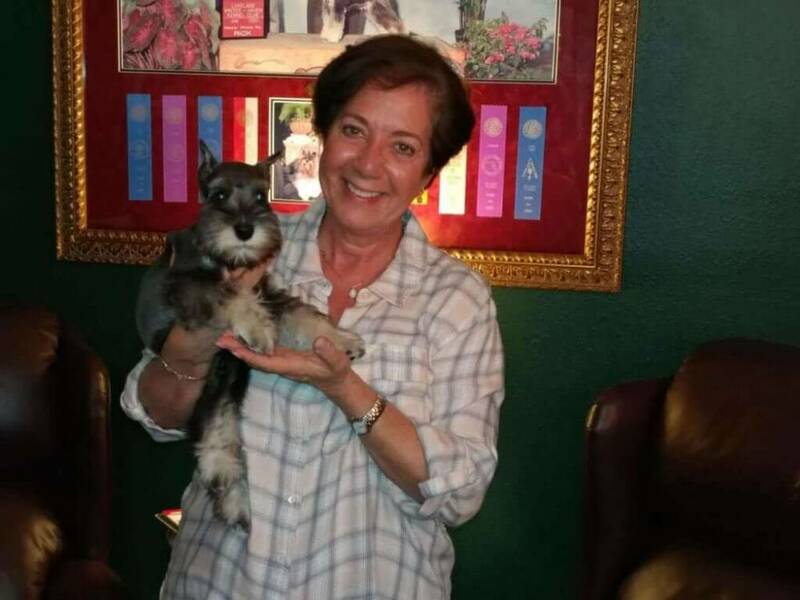 All reputable breeders follow the Miniature Schnauzer breed standard, as we truly love this breed for how it was intended to be from the beginning of the Miniature Schnauzers development in the 1800’s. 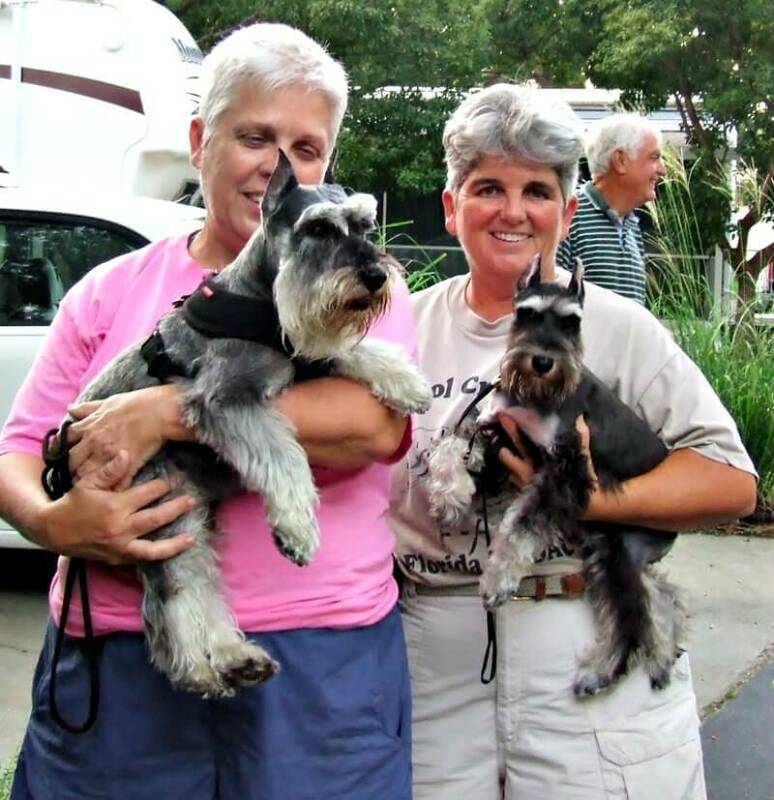 Miniature Schnauzer breeders who depart from the Miniature Schnauzer breed standard would be characterized as a back-yard breeder and should be avoided when looking to add a new Miniature Schnauzer family companion to your home.